Indian Congress party leader Rahul Gandhi is in another controversy. #WhereIsRahul is trending again on Twitter and people around it. This time because the Congress vice president has applied for leave from his party and left the country just as the crucial Budget session of Parliament began with an intense political battle over one of the causes he has been passionate about - land acquisition and farmers' rights. The hash tag is a Twitter classic. It trended after the Congress' humiliating defeat in the Lok Sabha elections in May last year. Mr Gandhi, who led the Congress' campaign, had skipped a farewell dinner for outgoing Prime Minister Manmohan Singh. Then again, in October when the Congress lost power in both Maharashtra and Haryana, months after the debacle in the national elections, the Congress Vice President was to spot nowhere and #WhereIsRahul made a comeback. 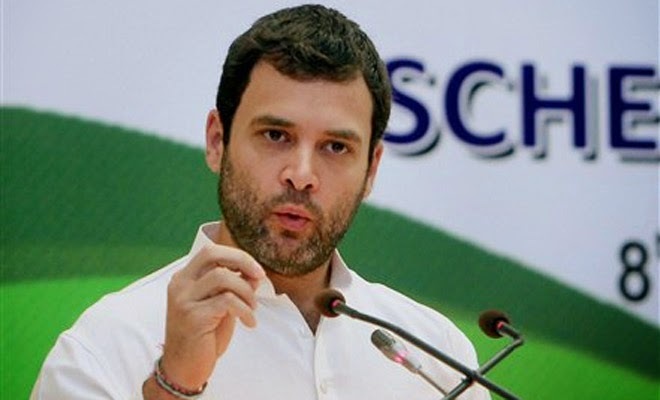 Congress leaders said on Monday that Rahul Gandhi has taken a few weeks' "leave of absence" from the party to "reflect upon recent events and the future course of the party." At the time of writing this, there are nearly 15,000 tweets around the hash tag #WhereIsRahul. There were others, hash tags such as #RahulOnLeave and #IstandWithRahul are also trending by his supporters.